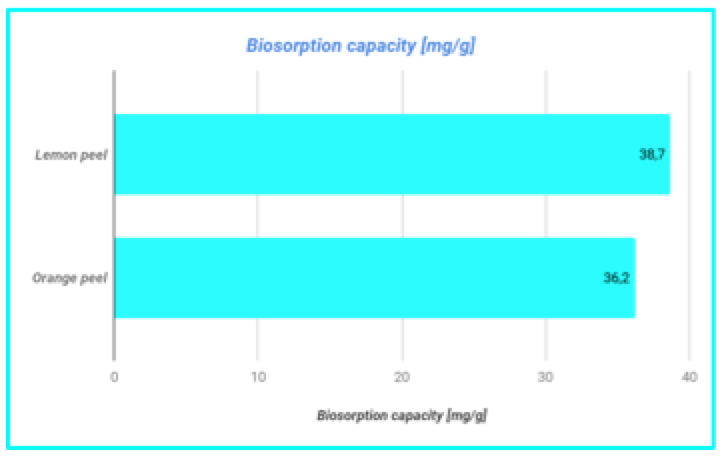 In this article, I would like to introduce a procedure which involves the removal of copper from a solution through a process known as biosorption. I covered something similar in a previous ChemEd X blog1, but in this article I will be running the experiment by using a different analytical method. Biosorption is a method that can be used for the removal of pollutants from wastewater, especially those that are not easily biodegradable (heavy metals and industrial dyes)2. Basically, it is a passive uptake of pollutants and it can be highly efficient and cost effective3. It involves the use of waste adsorbents (they can be living biological ones4 as well) which are able to bind the toxic substances; cheap materials can be used and because of that this technique is likely to be a promising one. In terms of an industrial perspective, several other methods such as membrane filtration, nanotechnology treatments and electrochemical processing can be used to remove pollutants from wastewaters. Of those innovative procedures, it seems that chemical precipitation is the most applied one since it features simplicity and quite safe operations. Its major drawback is that it is an excessive sludge production which actually needs a further treatment. Ion exchange and electrolytic recovery are successfully employed methods; however, they need a more sophisticated knowledge and maintenance to carry out the procedure in a proper and convenient way5. Reading some articles about this topic, it came out that some citrus fruit peels also can be used to conduct a wastewater treatment6; the pectin contained in the peels is able to bind heavy metals such as lead, cadmium copper etc (see figure 1). Pectin is present in high quantities in the cell wall of a number of fruits and vegetables and it seems that carboxylate groups present in its structure, play a dominant role in heavy metals binding by fruit pectin. Therefore, I decided to test the capacity of lemon and orange peels to remove copper from a water solution. Why copper? That heavy metal is present in many chemistry labs (in general as copper II sulphate) and its determination in a solution is quite easy by carrying out an iodometric titration; in addition, is not as hazardous as other heavy metals (cadmium, lead etc.) so its disposal is not a big issue. I found this experiment useful when it came to teach students about redox titrations; the topic is interesting and the experiment is fun since the solutions students are analyzing pass through a nice range of colors. In addition, the stoichiometry behind the whole process is not as straightforward as a classical titration (such as a strong acid-strong base one), therefore the experiment has to be planned more carefully by students; they should write down the reactions and figure them out in terms of moles and concentrations. This procedure has been planned out to minimize the production of generated waste such as copper I iodide. 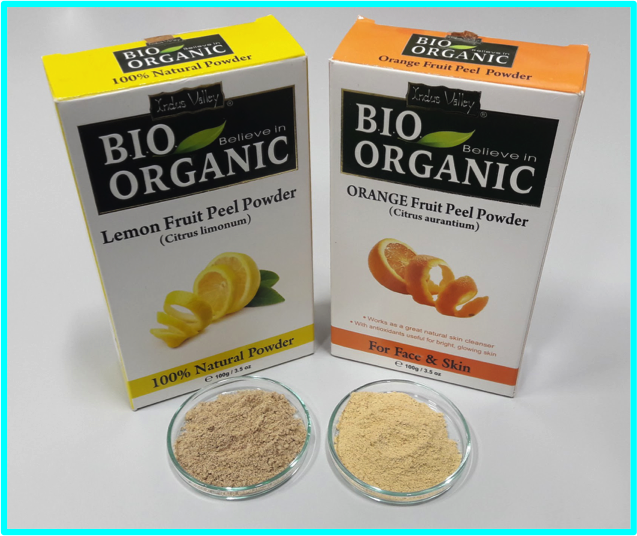 Getting both the lemon and orange powders (I got that online since the product was available in a very fine form). Preparation of a standard sodium thiosulphate solution. Addition of a certain amount of lemon peel powder in the copper II sulphate solution; that mix will be stirred overnight and filtered later. Determination of the residual copper II contained in the solution (prepared in Point 4) through iodometric titration. Technical details and calculations are reported in the Supporting Information file. Reaction 1: First reaction takes place between iodate (IO3-) with excess of iodide (I-) in acid environment; since iodine (I2) is produced, the solution turns brown/dark-brown. Reaction 2: Iodine is titrated with sodium thiosulfate standard; the solution eventually turns pale yellow. After the addition of starch, the solution turns blue/dark-blue (formation of the iodine-starch complex). Continuing the titration, the solution eventually turns colorless because of the consumption of iodine with subsequent formation of iodide ions; that is the endpoint. Figure 2: from left to right: 1.) Solutions of KIO3 after the addition of KI and HCl. 2.) Solution immediately before the endpoint. 3.) Solution after the addition of starch. 4.) And of titration (color intensity depends on the amounts of chemicals used). In terms of technical aspects, determination of the concentration of copper II in the stock solution, is actually the same. The only different thing is the formation of copper I iodide (CuI) which appears as a white precipitate. Of course, depending on the concentrations used the amount of precipitate is different. As I said before, I didn’t want to manage too much waste; therefore, I used small amounts of chemicals. Moreover, I found that a significant amount of copper I iodide makes the titration harder to carry out (in presence of this precipitate, the pale yellow color of reduced iodine is not easy to see and mistakes are around the corner). The presence of these two products makes the solution cloudy (copper I iodide is a solid) and brown/dark-brown (see Reaction 1) at the same time. The final step is the addition of the lemon and orange peel powder into two different standardized solutions of copper II sulphate. In 50 ml of each solution, I added 1 g of each powder and I stirred the mixture overnight; that is followed by a filtration step in order to clear up the mixture. Another iodometric titration allows us to figure out the effect of the peels on the solution tested. Of course, the addition of the lemon powder gives rise to a cloudy suspension and a slight change of color could happen as well. Although a good filtration clears up the liquid (see Figure 3), tiny particles can pass through the filter (that especially happened for the lemon peel powder solution which looks cloudy even after filtration). 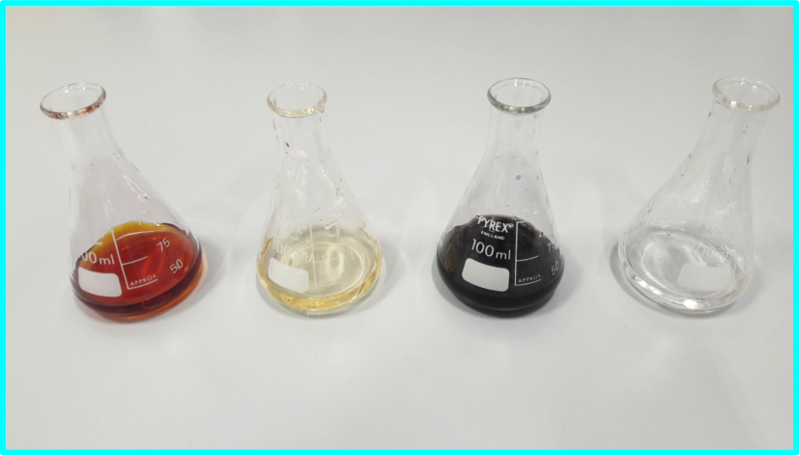 The yellowish color of these solutions could make the titration harder in terms of color changes; luckily, iodine brownish color takes over and the titration can be carried out with no significant difficulties (in any case, I would suggest you to slowly add the titrant in order not to overshoot the endpoint). Where C0 is the initial concentration and C is the final concentration (both in mg/ml) of copper II solution; m is the mass of the adsorption agent (g) and V is the volume (ml) of the copper II sulphate solution. q indicates the amount of pollutant (mg) adsorbed per gram of peel powder. According to the graph, lemon peels seem to be slightly better than the orange ones. I do think though that results are also dependent on the concentration of the peels as well as other factors (pH, temperature etc) so these aspects should be investigated further. Of course, several different fruit peel powders can be tried out (kiwi, banana, apple etc); I decided to try lemon and orange ones in order to focus on some citrus fruit first but I will probably consider the possibility to test other varieties along with some variations in terms of pH, temperature etc. In addition, other methods such spectrometry can be used. By doing this experiment, I hope I have given you some inspiration for new topics to cover in your lessons! As usual, I’m open to suggestions and advice. Happy experimenting!